What do you do when Thanksgiving is just around the corner and you're laid up with a broken leg? You get involved in another mystery, of course! Confined to the house, convalescing, Darcy Sweet has plenty of time to organize the family dinner she and Jon are hosting for Thanksgiving. It should be easy to stay out of trouble, right? When the insurance rep handling Darcy's case visits her home to discuss her work place accident claim he unknowingly brings along a ghostly companion. A very angry ghostly companion! Will Darcy be able to work out why the ghost is so angry and what it is she wants before the Thanksgiving holiday is ruined? Count Your Blessings is the twenty-second book in the Darcy Sweet Cozy Mystery series. 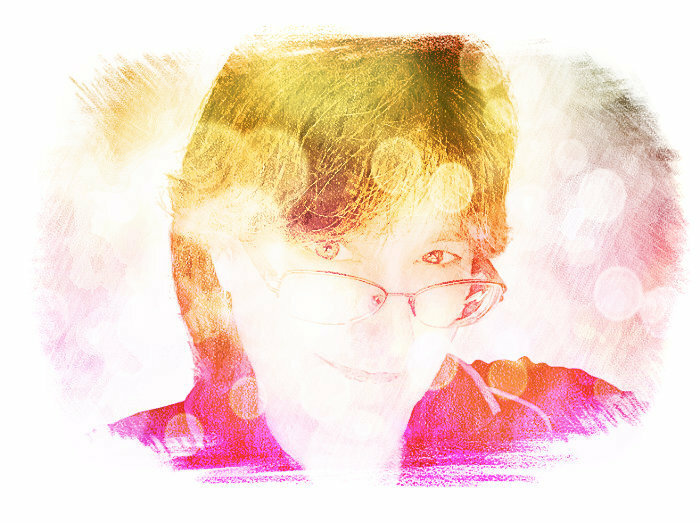 If you love cozy mysteries with paranormal, and a touch of romance you'll love the Darcy Sweet Cozy Mystery series. 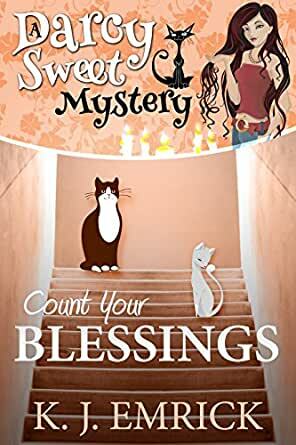 Pick up Count Your Blessings to read Darcy's latest adventure today! I am proud to say I have read all the Darcy Sweet books and I have loved each and every one. This latest book was wonderful but bittersweet. I love seeing the changes through the years, but hate that time seems to pass so quickly. I would love for the kids to stay small a while longer. However, I love that Darcy and Jon have grown so much together. The kids have a big part in this book, which is wonderful at Thanksgiving time. The warmth and mystery in this story is a blessing to me. I look forward to hopefully reading many more Darcy and Jon stories in the future. This series is one of my all time favorites! I have read them all and I am already ready to read the next book. This series gets better with each new book. Reading books like these that make you really think about life after death makes a person think that their past loved one's are around us sometimes. That's a nice thought to have for awhile. There's always a great mystery for Darcy and the gang to figure out. I like reading how the characters have grown in each book. I highly recommend this book and the rest of the books in this series. Enjoy! Darcy fell off the ladder at the bookstore and is home with a broken leg. While daughter Colby is a great help, she has her new baby son Zane to take care of. When Anthony Faber the insurance adjuster came to her home Darcy sees his sister a ghost trying very hard to communicate with her brother on how she died. When Darcy starts asking questions some savory characters enter the story. How can Darcy protect herself with this cast on her leg? 5.0 out of 5 starsLove this Series!!! I love how John and Darcy care, Love, support, encourage and share everything with each other. This mystery and the growth of the relationship and strength of Darcy and Colby's gifts. It is so sad as our animals are growing closer to the end of their lives. I am glad for the special moment between father and daughter as they were saying their goodbyes. I have loved all of these books! Each one just as if not more enjoyable as the others. This one was no different, except for the Epilog (which I could tell was coming) was very difficult. Smudge has been a very important main character since the very first book and I can only hope that we will still have him in one form or another in books to come. 4.0 out of 5 starsCount Your Blessings was the best book for this time of the year. I really enjoyed this book. It is so nice to see how the girls are growing up and all the changes going on. I am going to make the Amish Friendship bread for Thanksgiving. Have not had it in years but going to start my "starter" tomorrow. Glad to get a reminder of how delish it is. Thanks for another look into Darcy's life and loves. Count your Blessings is a good story. The ending about the cats is a little confusing. I assume that that'll clear itself up in future volumes.